A social networking service is an online platform that facilitates the building of social networks among people online. A social network service consists of a representation of each user (usually a profile), his/her social links, and a variety of additional services that allow the users to share ideas, activities, events, images, videos and various other content with the people in their network. Although there are many different social networking platforms available on the internet including LinkedIn, Google+ and Myspace, Facebook is by far the most popular social networking platform in the world with a user base of over 900+ million people worldwide. The following characteristics and tips have therefore been customized to help you better understand how to create a Facebook Page that successfully engages your audience. However, in a separate section below we have also included brief descriptions and tips for using the two other major social networks, LinkedIn and Google+. At a user base of over 900 million people around the world, Facebook acts as a portal to a huge amount of potential followers. Social networking sites favour short and concise text updates as opposed to long detailed blog posts. The new Facebook Timeline redesign favours visual content by allowing images and videos to take up a large amount of space on your Wall. Facebook features a ‘share’ button next to visual content that makes it easily shareable and increases its potential to go viral. Social networking sites allow a number of different ways that followers can interact with your brand including Liking, Sharing, Commenting , and Tagging your content. Facebook has created a specific type of Brand Page just for businesses to use, allowing them greater functionality to interact with their followers than normal personal pages do. There are specific pages for ‘Facebook Places’ that can be created for different locations and users can then “check in” to them via the mobile Facebook app on their smart phones. Applications can be developed that work like plug ins for blogs and integrate extra functionality within your Facebook Page. Eg. Shopping carts, games, competitions, data capture forms. The most recent change of Facebook to the ‘Timeline’ design includes the addition of new features such as Cover Images and Milestones which can be optimized to attract users to your brand. Have a rough plan of the day’s posts to allow you to keep track of your content to make sure that you are publishing all relevant content and not becoming repetitive. It can also allow you to play your content out within a narrative format as it is applicable to your business. The algorithm that determines what content appears highest on people’s News Feeds rewards high levels of interaction between a branded Page and its audience. In short, the more you interaction you have with your followers (likes, comments, shares, tags etc. ), the more visual your posts will be. With 900+ million users worldwide it’s not easy to be found, so care must be taken to populate different fields on your page with keyword rich copy to make it search engine friendly. This includes your Facebook Title, vanity URL, Info section, About section and also Picture tags and descriptions. 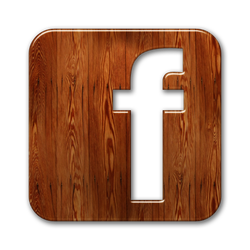 The new Facebook Timeline favours visual content, making photos and videos much larger and more noticeable than text. Visual content is also easily shareable and has a greater potential to go viral than text. Also, ensure you include descriptions of your visual content. Facebook makes all of the content shared on Facebook Pages indexable by search engines, and so posting photos and videos with verbose and keyword-dense descriptions can make your page more SEO friendly. Users love prizes and Facebook Competitions are a great way to increase the awareness of your brand online while providing value to followers. However do be careful to read Facebook’s Terms and Conditions before running a competition to ensure it is conducted legally. The new cover image feature on Facebook allows brands to include a large image at the top of their page. Use this space wisely to display striking and aesthetically appealing images because it’s the first thing that a user sees when visiting your page and is often what will leave an impression. Facebook applications can be expensive to build but are often great ways to further engage your audience without them needing to leave your Facebook page. A simple application such as a shopping cart can provide great value for the user by allowing them to make purchases straight from your Facebook page without having to redirect them to your website. Brand pages have the option of making private messaging available to its followers. Always ensure that you have this option set to ‘allow’ in your settings, because if it allows you to deal with customer complaints in private. If not you have no choice but to deal with them publicly on your page Wall. Milestones, a new feature of the Facebook Timeline, allow brands to pin important moments in the company’s history on their page. Including things like the date the business was created and other various milestones along the way gives your brand a sense of character and history. If your business has a physical bricks and mortal location, create a Facebook Place page for it. This allows your to include important information such as contact hours on it, and users can also “check in” online to it on Facebook, comment on it or like it, thus increasing online awareness of your brand. 54% of Australian Facebook users are female and 46% are male. The 25 - 34 range is the most well represented age group on Facebook in Australia, totaling 26%. This is closely followed by users between the ages of 18 – 24 at 24%. Australian fashion brand Black Milk has an extremely interactive Facebook Page with over 160,000 likes and an emphasis on striking, visual content. Read a detailed analysis of this case study and an interview with their marketing director here. Platforms - "The Other Two"
LinkedIn is a professional social networking site that is used predominantly for professional networking. Although it has limited ability as a marketing tool compared to other social networking sites such as Facebook or Google+, encouraging your employees to have LinkedIn profiles that mention your business and link back to your site can help drive traffic to it and increase brand awareness. Google+ is a social media platform popularly compared with Facebook. It allows similar sharing of content on ‘walls’ and supports business and brand pages. Where Google+ differs most fundamentally, however, is that it allows far more detailed segmentation into user-created streams called “circles”. This allows for greater user control over the delivery and receipt of information. Google+ may be suitable for your social media plan if segmented information delivery is necessary to your strategy.